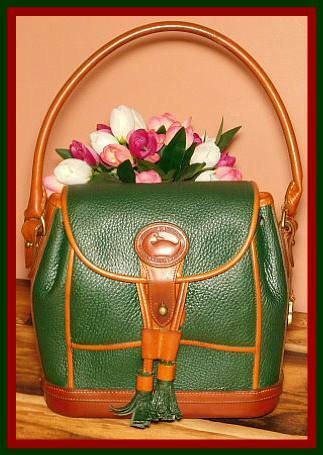 Jo’s Note: “A Vintage Dooney Dover that is as gorgeous green as an Irish Hillside! 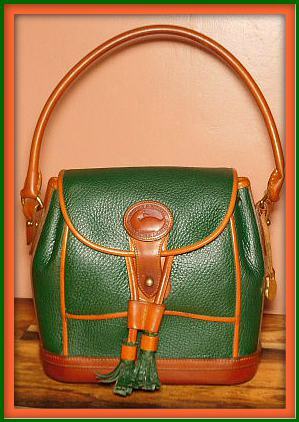 This Dover Carrier Bag is a rare find among Vintage Dooney hand-fitted Cases. 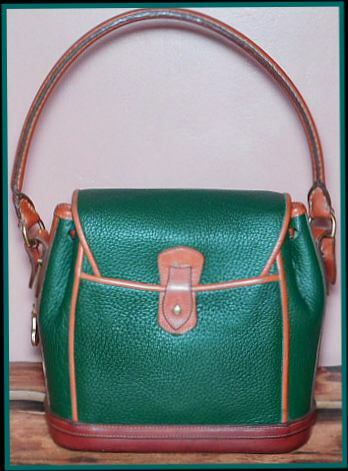 With a generous stow capacity you may carry your electronic devices plus all necessary personal items. The back outside pocket is perfect to slip your cell phone in and out of. Additionally the organizational system inside has 3 sections to keep important items easy to find." 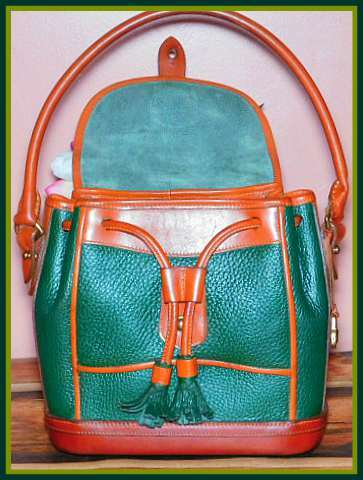 Completed: Vintage Restoration of this and all Vintage Dooney products require a generous amount of time to achieve the desired results. 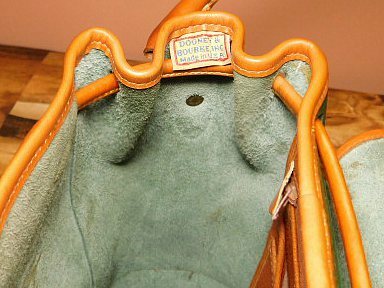 Each restorative detail is carefully carried out in total harmony with the original colors, hardware and leather condition. 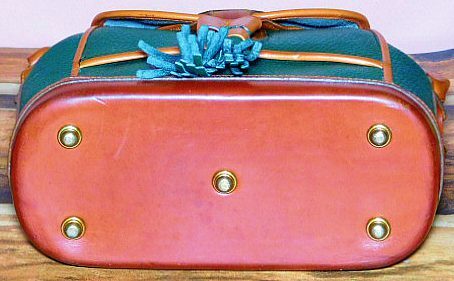 This results in a Vintage Dooney product that has been brought back to its former gorgeous appearance, or at the very least, as close to it as possible considering its pre-use. Buy with confidence! Enjoy with pride! shopping & purchase information--you’ll be glad you did! All bags listed (except those marked new or like new) will have one or more of the following: various degrees of darkening of tan trim, very small discolorations inside or outside, small pen marks inside or other minor signs of use. Anything easily noticeable will be mentioned in the listing. 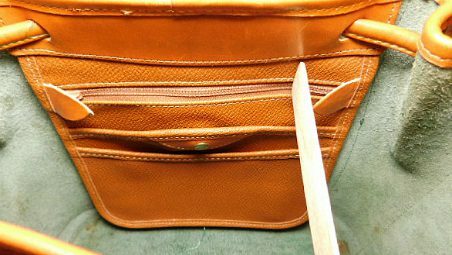 Only top quality leather restoration products from France, Germany and London England and used by old-world quality Cobblers, are skillfully applied to your bags and accessories with regard to lasting restoration for our customers. 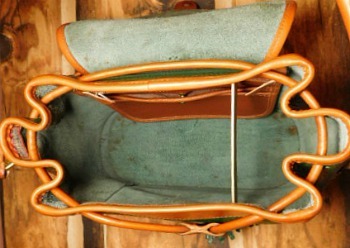 Restoration is a careful skilled multi-step process here at Vintage Dooney.